What they find is a biological cell. Armed with a thick cell wall and long cilia-like flagella, the alien lifeform, dubbed Calvin, seems ready to protect itself. Not only this, but as Calvin grows, its cells dividing, each cell is simultaneously muscle, brain, and eye. Life plays the uphill battle of its inevitable comparison to Alien. An isolated crew in space facing an unknown alien foe. Hell, even the title font looks similar. The differences in tone and execution between the two films, though, are enough to dispel naysayers. The film takes its time starting up without adequately establishing character, in spite of its best efforts. The small bits of personality we do get are helpful and pay off in the end, but the crew largely just feels like a members of a shooting gallery plot. The long inciting incident sequence, however, is a barn burner. It is an undeniably exciting set piece that handles suspense and deliberate pacing perfectly in order to introduce us to the threat at hand. Life is more of a survival narrative than a horror film. It does, however, live and die on its suspense. When suspense lulls or is miscalculated, the film lulls accordingly. The first hour flies by with the creeping knowledge of what bad things are about to happen. It is when the film progresses into its later acts that the film becomes more repetitive and predictable. Predictable, that is, until the climax. Careful editing keeps the final moments from being overly predictable, as it becomes visually hard to tell exactly what is about to happen. Top notch acting helps the films case, as the ensemble from top to bottom pull out strong performances given what the film requires. 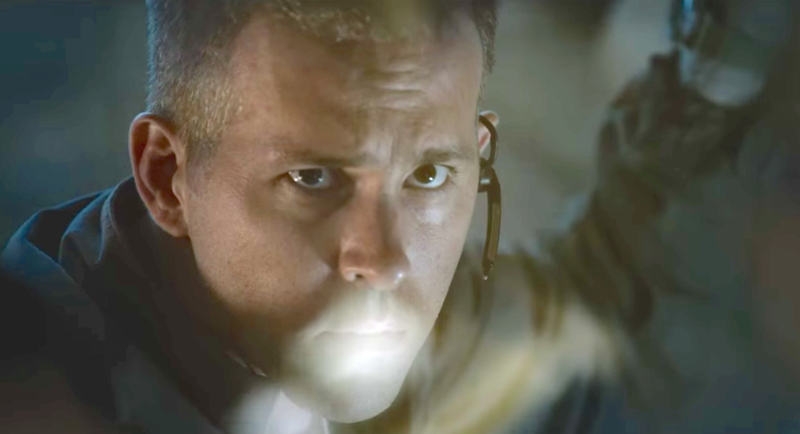 Life is an intelligently-penned film that combines Gravity and Alien. While not wholly original as a result, it sure still feels fresh.